I love at-home beauty remedies that can be whipped up using only a few readily accessible ingredients. 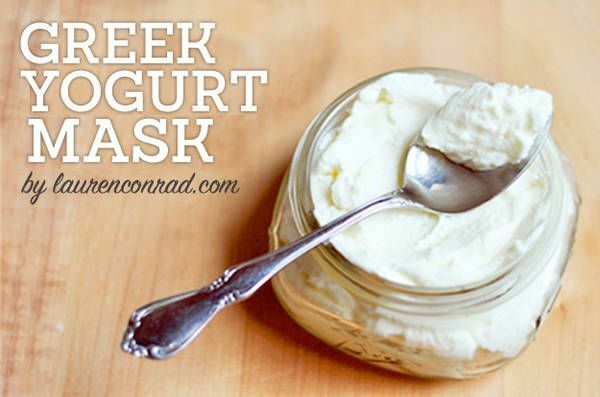 Today I am going to share one of my favorites with you: My Greek Yogurt Mask. It’s very simple and only consists of two ingredients—Greek yogurt and a probiotic capsule (although the probiotic can be optional as the yogurt alone is still very effective). Greek yogurt contains lactose enzymes, which dissolve dirt and nourish your skin. Essentially, it works like a cleanser while the probiotic invigorates your skin leaving it with a lovely glow. This combination also helps to reduce redness and clam breakouts. Not bad, right? Note: If you do not have a probiotic capsule, this mask is still very effective even if it’s only Greek yogurt! Also if you are lactose intolerant you might want to give this ice facial a try instead. Are you going to give this DIY a try? If you have a personal beauty recipe that you’d like to see featured on the website, share the details in the comments below.